Effective mind control is possible, because focused attention instantly stills emotions. Attention is a pattern recognition phenomenon of the mind. How do you become aware of the pressure of your shoe on your toe? What happens in the nervous system when you pay attention? For science, these have been “ghostly” functions of the mind, where nerve cells act with enigmatic intelligence. But this article suggests that the focus of attention is a routine pattern recognition activity. The prefrontal regions contain the Executive Attention Center, which dispatches signals to the focused regions, increasing neuronal activity in those regions. Increased neural firing is perceived by the prefrontal intelligence, making it "aware" of the activity. Combinatorial coding, acknowledged by science with a Nobel Prize, enables the mind to focus such attention. Combinatorial coding enables nerve cells to recognize and transmit sensory, emotional and motor control patterns. Combinatorial codes can explain how a gentle touch can relieve pain. Science suggests that an Executive Attention Center directs the conscious attention of the mind. Attention is known to increase neural activity in the focused area and to subdue it in the surrounding regions. Combinatorial coding enables neurons in the focused area to increase firing and to inhibit activity in the neighborhood neurons. Ann Graybiel recorded the processes, where attention enables learning. The process of learning is also known to increase cortical activity. The attention of the prefrontal regions, (your common sense), can similarly still the neural activity triggered by emotions. The focus of your attention on your internal processes, (self awareness), is the key to effective mind control. The Nobel Prize was awarded in 2004 for the concept that the olfactory system recognizes combinations. This article suggests that, it is not the olfactory network alone, but all nerve cells, which recognize combinations. On recognition, they fire or become inhibited. The coding enables nerve cells to recognize patterns; for visual signals to coordinate with sound signals; for emotional signals to trigger motor responses. On this basis, the human mind becomes a powerful pattern recognition entity, with its unique ability to focus attention. P - Fire to report pain. SP - Fire to report sympathetic pain. P + T - Fire to ignore touch and report pain. SP + T - Inhibit - suppress sympathetic pain to report touch. Based on its evaluation of its combinatorial inputs, the pain reporting neuron can report pain. With the sympathetic pain message, the effect of injury can be exaggerated. The sympathetic pain message can be suppressed to report touch. A gentle touch could relieve pain. So also, focused attention can relieve the “hurt” effect of pain. Combinatorial codes can enable neurons to make sophisticated interpretations of the world. William James, suggested that attention was "the taking possession by the mind, in clear and vivid form, of one out of what seem several simultaneous objects or trains of thought. Focalization, concentration of consciousness are its essence". PET scans have revealed an Executive Attention Center (EAC), in the cortex, which appears to orchestrate the process of paying attention. That region shows increased activity, whenever you consciously pay attention to something. 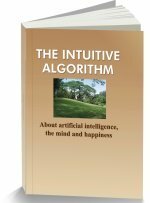 RI, the neural equivalent of your soul, resides in the prefrontal areas, the region acknowledged by science to be the “seat of consciousness.” RI initiates conscious attention through EAC. Maunsell studied neural signals in the visual area of the cortex of monkeys, when viewing a swarm of dots on a screen. In this cortical region, specific neurons fired for specific dots. When the animal focused on just one of the dots, the directed attention caused the neurons that signaled its motion to respond more strongly. At the same time, neural signals related to other dots were attenuated or filtered out. The effect of attention was to highlight a message, through increased neural activity in the observed area, while inhibiting activity in the immediate surroundings. How can mere thoughts cause increased neural firing in a focused area? How can paying attention make you feel your toes? When pressure is applied on the skin, touch sensory receptors in the skin fire impulses, reporting touch to the cortex. The reporting neuron will normally be inhibited (barely, ticking over), to prevent an overload of sensory data to the cortex. But, the neuron can recognize a signal recieved in one of its dendrites from EAC. The neuron recognizes the code and begins to fire. You become aware of the pressure of your shoe on your toe. The activity of this neuron simultaneously inhibits neighboring sensory neurons, highlighting the touch message. Combinatorial recognition by the reporting neuron enables EAC to create an awareness of the pressure of the shoe on your toe. This ability to focus the attention of the mind is your primary tool for effective mind control. When you focus your attention on any task, the basal ganglia, a brain organ, learns the process, converting it into your inbuilt knowledge. The organ is believed to “automate thinking and acting, turning focally conscious activities into quick, reliable, unthinking habit.” Ann Graybiel recorded neural activity in the basal ganglia of a monkey, while it learned to associate the sound of a click with the availability of a sip of juice. With the start of activity in the throughput lines of the region, “spidery arms that eavesdropped” on the flow fired in rhythm, and learned the activity. Later, the region mirrored the firing rhythms, converting it into knowledge of the system. In their research using PET scans on subjects playing video games, scientists discovered that cortical activity increases significantly when you first begin to learn a skill. Such activity decreases when you master the pursuit. Attention increases cortical activity, converting the activity into the knowledge of your mind. You, (RI), can take charge of your mind by focusing attention. RI is the neural network equivalent of your soul. A historic assembly of other intelligences, including the reptilian brain, the olfactory system and the amygdala compete with your RI for the control of your mind. Massive inherited codes operate an intuitive decision making process, which constantly switches controls between the intelligences. Normally, you will lose control to any lower level intelligence, which is agitated. Even a ringing phone will take immediate control of your system. Your inherited codes have a deep wisdom. For a normal person, neither RI, or any of the animal intelligences will be permitted to take inappropriate, unsafe, or impractical steps. The system will also not undertake any activity, which it does not consider worthwhile. Other than such hereditary rules, emotional agitation will also prevent RI from taking charge. 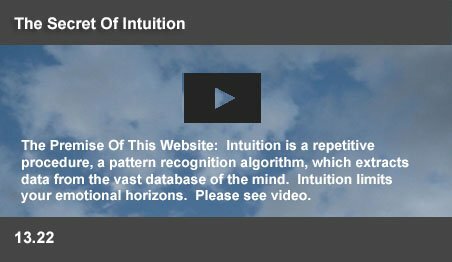 This website suggests Mind Control Tips for you to achieve a calm frame of mind, when self awareness can take charge of attention and begin to control your mind. Stress Relief Through Attention - Keep Practicing! Whenever you ask a question to your mind, RI takes charge. The ideal questions are “What am I thinking?” and “What do I feel?” These questions make you self aware. Your mind will respond to these questions. You will know. That knowledge has the power to inhibit troubling signals sent by lower level intelligences. Normally, raw emotions exist only for 300-400 milliseconds, before the system converts them into drives. In half a second, you will become angry. But, attention changes the game. When you pay attention to your thoughts as they occur, they become familiar. When you pay attention to your feelings, RI learns to recognize them even as they arise. Recognition can still the negative streams of thought. The secret is to focus your span of attention to that half second hijack of your mind. With practice, RI will become familiar with the signs of the onset of an emotion. Recognition stills the emotional take over. Gradually, with familiarity, your RI level of consciousness will take calm and composed charge, overcoming the troubling interruptions of animal intelligences. Across centuries, sages have advised the sensible management of attention as the golden key to a good life. This page was last updated on 06-Sep-2014.